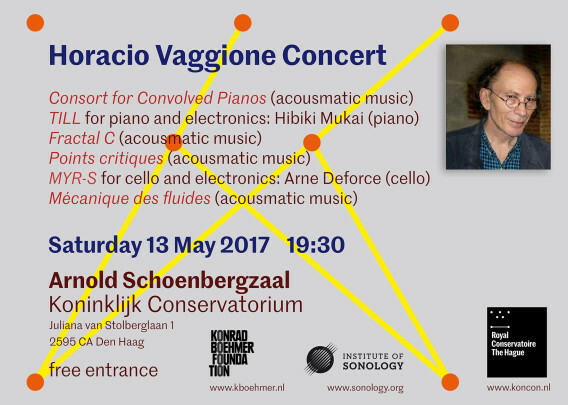 On Saturday 13 May 2017, 19:30, we will honour our second Konrad Boehmer Visiting Professor, Horacio Vaggione, with a concert dedicated to his music in the Royal Conservatoire's Arnold Schoenbergzaal. TILL will be performed by pianist Hibiki Mukai, MYR-S will be performed by cellist Arne Deforce. Sound direction is in the hands of Vaggione for all compositions on the programme. Be there and be on time! This concert is organised in collaboration with the Konrad Boehmer Foundation.